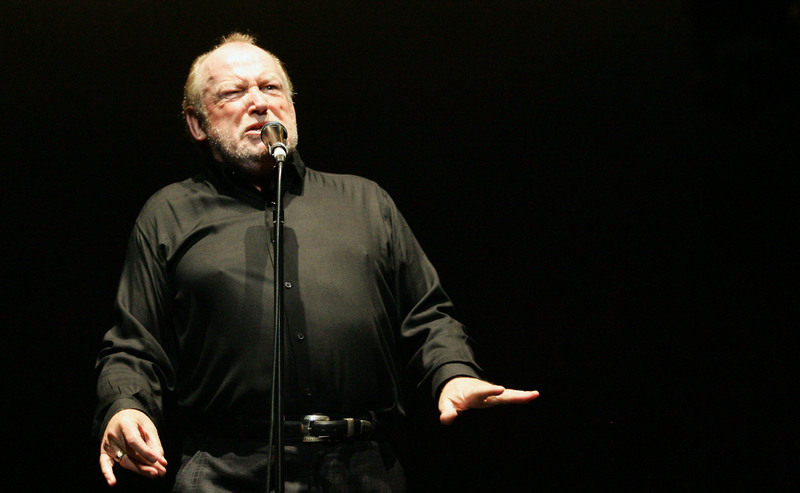 Sad news to report to the world, Joe Cocker has died at 70-years-old. The legendary singer was battling lung cancer, but died from an undisclosed illness, as reported by BBC News. When I first listened to Cocker's "With a Little Help From My Friends" (at Woodstock) — without sounding too cheesy — I felt a different understanding of what it meant to be overcome with the music. Since then, I was a fan. So when he popped up in a cameo in one of my favorite movies of all time, Across the Universe, I was clearly overwhelmed with emotion. Cocker's cameo in Across the Universe , while small, was one of the best moments of the movie to me. While I loved the amazing performances put on by the cast of the movie, Cocker's appearance felt like an honorary hat tip to his legendary career in music. Because he is known for his amazing "With a Little Help From My Friends" — although he is so much more than that one song — it is moving that a movie honoring The Beatles' music would also allow the artist of arguably one of the greatest versions of a Beatles' song a little attention, too. The way in which the movies honored him is incredible. Cocker wasn't really incorporated into the plot, instead, he was just given the stage to perform (geniusly) a classic Beatles song. The first character he plays is a hobo that is at the bus station as Jo-Jo arrives in New York. This is extremely special because at the end of the hobo moment, Cocker looks to be playing a guitar, which is something he has done in concert his whole career (just watch his Woodstock performance). His second character is a pimp. He is almost unrecognizable, and unless you realize that it's the same voice singing, you might not even know you're watching Cocker. The final character we see Cocker as in Across the Universe is the hippy. Here he saves Jo-Jo from being hit by a cab because he is overtaken by all that surrounds him in New York. The movie's touching casting of Cocker as the different types of people that live in New York is extremely special, especially because the role allowed him to do what he does best. Not act, not dance, but perform. Watch Cocker's performance in "Come Together" from Across the Universe below.